If you’re like me, you want to help change things for the better and stand up for what you believe is right but you don’t know where to begin. The “mess” you want to help can overwhelm you and it seems like you’re trying to take on/eat a huge elephant – and how the heck do you do that? Here’s a video I made today, only 2 minutes long. Hope it cheers you up. 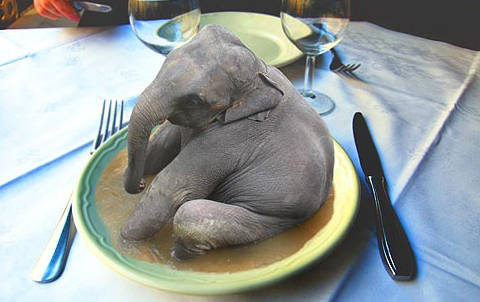 I tell you how to eat the elephant so you don’t throw up and feel hopeless.